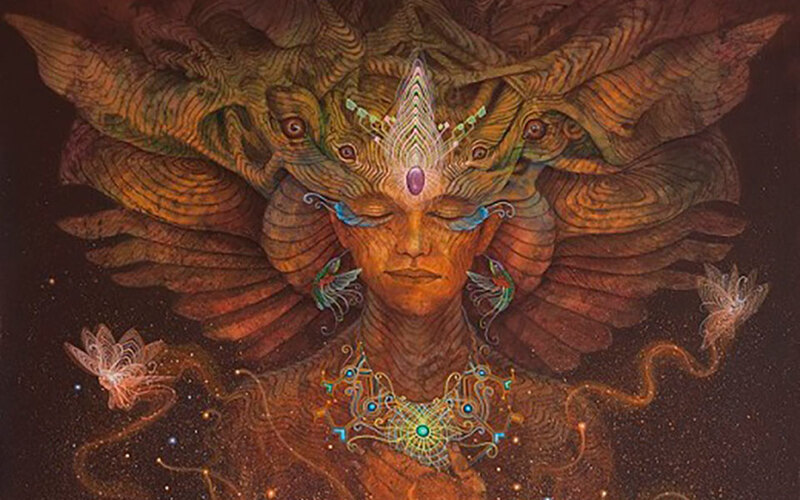 Peru’s amazing visual artist, Luis Tamani will be touring Australia in January-February 2016. 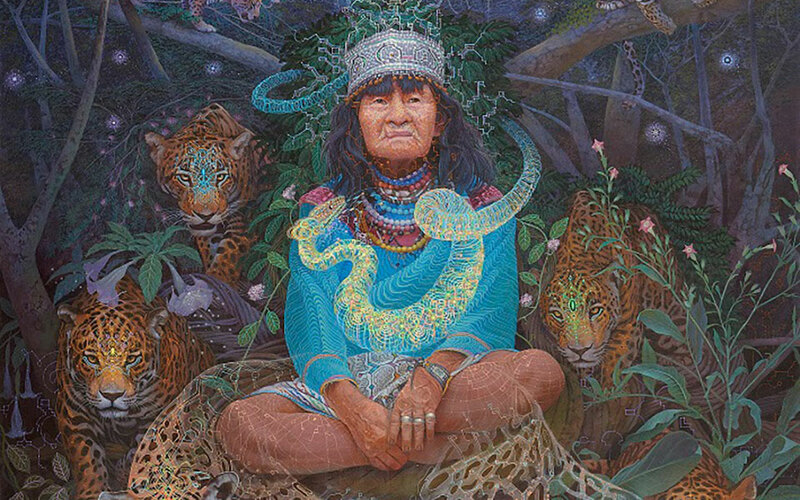 Luis Tamani Amasifuen is a shaman and visionary painter who documents his encounters with the plant teacher, Mother Ayahuasca. 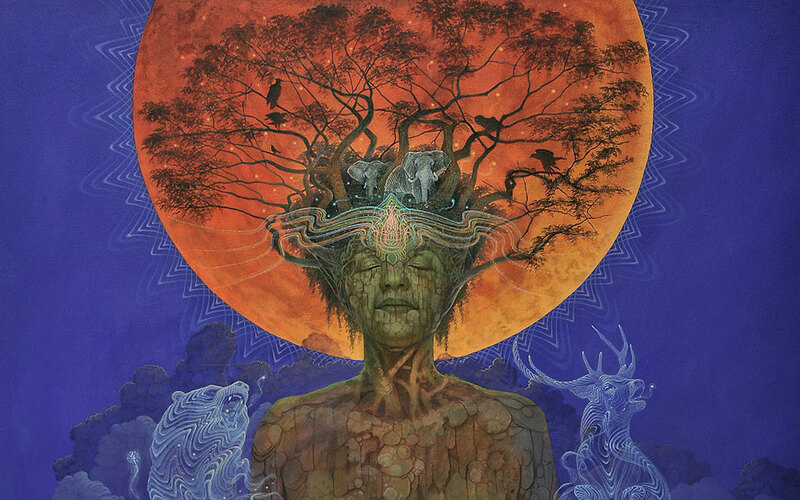 Portraying transcendental experiences of unity with nature. 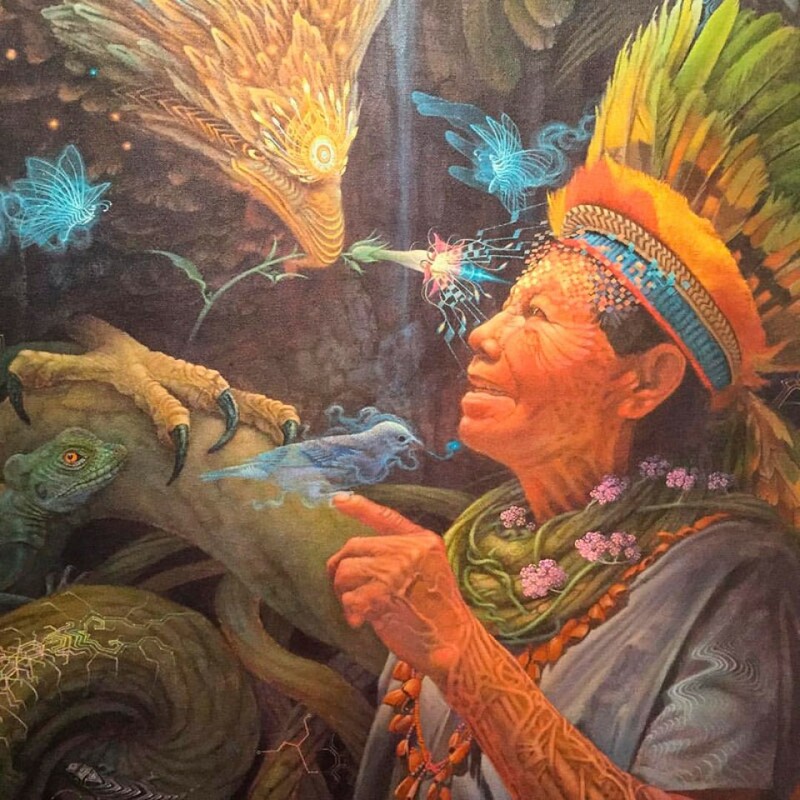 | An artist from the Amazonian rainforest of Peru, born in 1983, he grew up on the banks of the Ucayali River in Pucallpa. His imagination was fed by landscapes full of rivers, trees, lianas, animals, birds and the verdant lushness of the rainforest.